Mahindra XUV500 vs Tata Hexa vs Jeep Compass: Who should buy what? The launch of the recent facelift has increased the popularity of the Mahindra flagship by a huge margin. The XUV500 is now cheaper, more powerful and even better loaded. SUV buyers in the Rs. 12-20 lakh bracket now have as many as three really interesting options to choose from – Mahindra XUV500, Jeep Compass and Tata Hexa. So, who should buy which one among these? Allow us to help you. Among the three SUVs here, it’s the XUV500 that has the freshest appearance. Actually, the XUV500 is the oldest car among the three. However, the recent facelift makes the XUV500 look a lot fresher than before. The XUV500 always had a bold design and the recent facelift makes it look even more appealing. The larger grille, an abundance of chrome, new wrap-around tail-lights and stylish mag wheels not only make the XUV500 look better than before, but also makes it look the newest among the three SUVs here. The recently updated Mahindra XUV500 offers a really very long list of features. Among these three, it’s the only SUV to offer a sunroof. It also offers Android Auto and Apple CarPlay. Moreover, it also comes with a wireless phone charger, Tyre Pressure Monitoring System and electric adjustment for the driver’s seat. 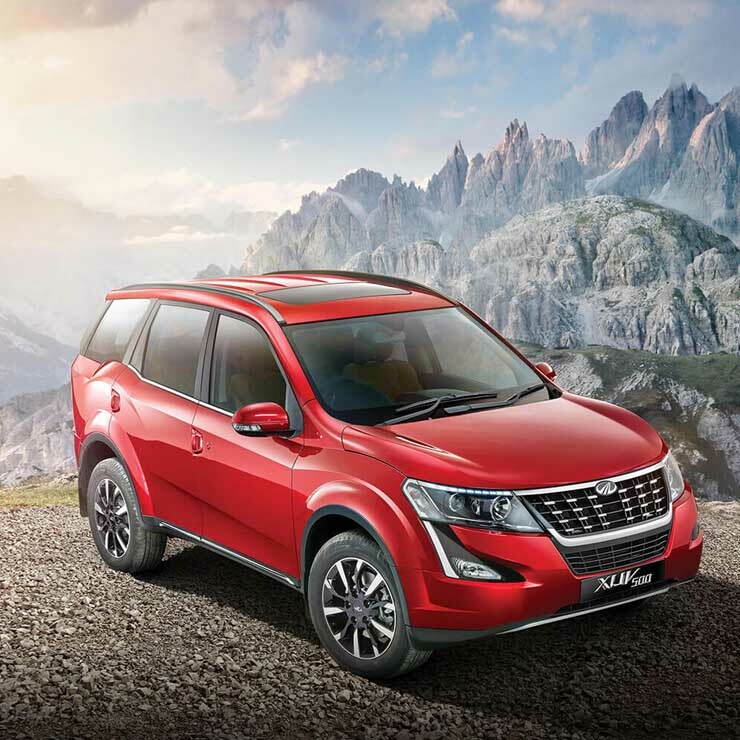 The Mahindra XUV500 also offers the most premium cabin. Other than offering many high-end features, its top-end variant also gets you a leather-top for the dashboard, premium leather upholstery and an electric sunroof. This makes the cabin feel really upmarket. The XUV500 has the most premium cabin among the three cars here. The Tata Hexa is the largest SUV among these three. The Jeep Compass measures 4,395 mm in length, 1,818 mm in width, and 1,640 mm in height. On the other hand, the Mahindra XUV500 measures 4,585 mm in length, 1,890 mm in width, and 1,785 mm in height. The Tata Hexa, however, is even bigger and measures 4,788 mm in length, 1,900 mm in width, and 1,785 mm in height. The Hexa is clearly bigger than both of its rivals. Hence, it enjoys the highest road presence. On sale in a price bracket of Rs 12.49 – 17.89 lakh, the Hexa offers the highest value for money. 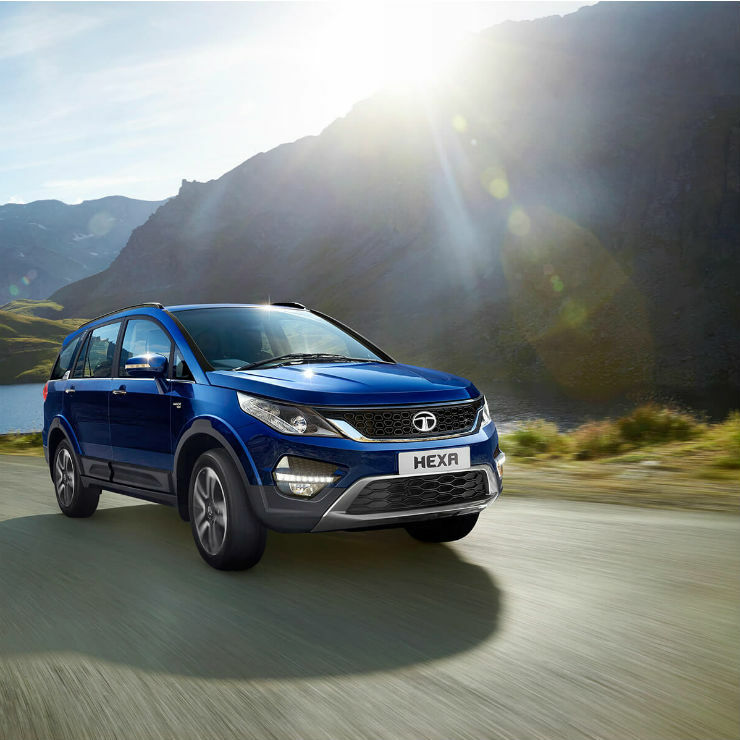 You can purchase a fully-loaded Hexa AWD or AT version for the price of a mid-level trim of XUV500 or Compass diesel. While it doesn’t offer features like an electric sunroof and wireless phone charger, it’s still a feature-laden model that offers some really premium features, including a high-end 11-speaker sound system. It also offers a terrain management system, which is something that the XUV500 doesn’t. The Hexa is easily the most spacious of the three SUVs we have here. The Compass is a strict five-seater and easily the least spacious of these three vehicles. The XUV500 offers seven seats but its last row isn’t very spacious. The Hexa, on the other hand, offers a more spacious third row that can seat two adults in reasonable comfort. What’s an SUV that doesn’t have an abundance of torque on offer. While all these SUVs offer a high level of torque, it’s the Hexa that’s the clear winner. The Hexa’s 2.2-litre turbo-diesel motor offers as much as 400 Nm. In comparison, the recently updated Mahindra XUV500 offers 360 Nm while the Jeep Compass offers 350 Nm. Want a sporty automatic SUV? While the Jeep Compass doesn’t have an automatic transmission for its diesel engine, the XUV500 and the Hexa offer a torque-converter automatic transmission for the diesel variants. However, the Compass is the one that offers the sportiest automatic transmission. Actually, Jeep India offers an optional 7-speed dual-clutch automatic transmission for the petrol engine variant. The Jeep Compass is the most capable SUV off the road. The Jeep Compass gets four driving modes – Auto, Snow, Mud, and Sand – that make it quite capable off the road. Also, the Jeep Compass offers a feature called brake lock, which acts similarly to the differential lock. Plus, the Compass has a shorter wheelbase and lower weight than the other two SUVs. This makes it the most capable off the road. If you’re someone who is aware of the legacy of the Jeep brand then the Compass will definitely be a lot more appealing to you than the other two SUVs here. Jeep is a widely recognized brand that enjoys a cult status. Mahindra, on the other hand, is yet to make a huge impression in the international market. Jeep makes world-class SUVs that are very popular in many countries. Among these three SUVs, only two offer a petrol engine option – Mahindra XUV500 and Jeep Compass. Among these two, it’s the Compass that offers a more powerful motor. The XUV500’s 2.2-litre, naturally aspirated petrol engine outputs 140 bhp of maximum power. On the other hand, the Jeep Compass has a 1.4-litre, turbocharged petrol engine that offers 160 bhp of maximum power. Also, it’s a much more refined unit than the XUV500’s petrol motor. Moreover, it can be bought with a sporty 7-speed dual-clutch transmission. 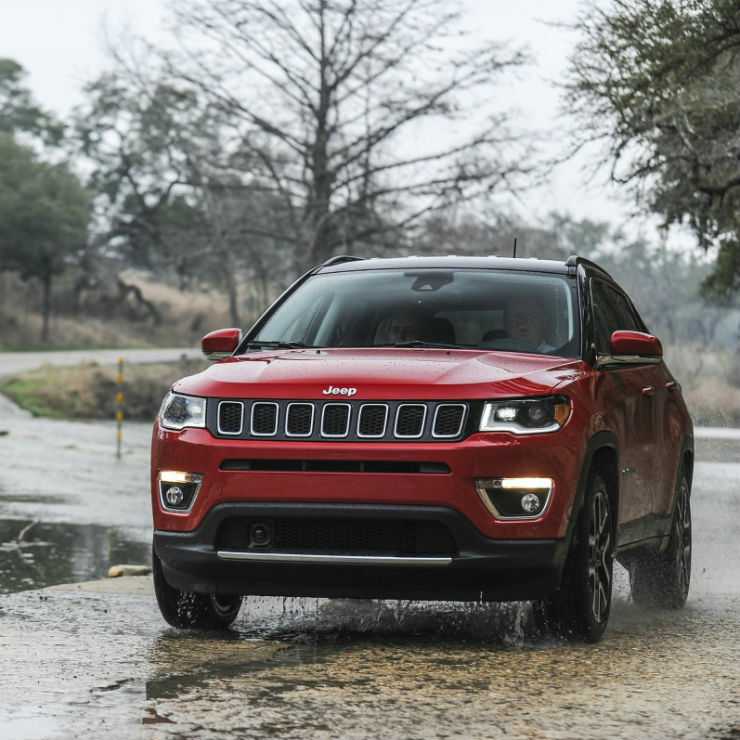 Between these three SUVs, it’s the Jeep Compass that offers car-like driving dynamics. The Hexa and the XUV500, on the other hand, are not as comfortable in the corners and are affected by a higher amount of body roll. The Compass not only offers a pliant ride but also has the sportiest handling characteristic among the three SUVs we have on this page.